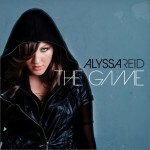 Alyssa Reid (born March 15, 1993) is a Canadian singer and songwriter born in Edmonton, Alberta. Her debut television appearance was on the television show Party Mamas. She was also runner up for The Next Star, a Canadian reality television show on YTV. She is signed to Canadian record label Wax Records. She currently lives in Brampton, Ontario, a suburb in the Greater Toronto Area.